Bipartisan lawmakers agreed to a spending deal to provide more federal resources for border security, including for physical barriers along the U.S.-Mexico border, similar to the one pictured in Tijuana, Mexico. House and Senate leaders hope to vote before Friday on a seven-bill spending package that includes $1.375 billion in funding for 55 miles of fencing along the U.S. border with Mexico. That amount is far less than the $5.7 billion President Trump demanded. House and Senate negotiators announced an agreement on the funding bill framework Monday but have not produced final legislation. Many of the unresolved issues are unrelated to the controversial border security package that has been at the heart of the funding fight. The outstanding issues include whether to include back pay for federal contractors who missed paychecks during the shutdown and an extension of the Violence Against Women Act, which is set to expire Friday. House Majority Leader Steny Hoyer, D-Md., told reporters Wednesday that "99 percent" of the agreement was complete and that he expects to vote on the legislation on Thursday. Hoyer and other top House Democrats say they are confident Congress has sufficient time to pass the bills and send them to Trump before the midnight Friday deadline. "I think that this is going to pass," said Assistant Speaker Ben Ray Luján, D-N.M. Democrats are predicting a late Thursday vote in the House, although legislative text had not yet been made public. House Democratic Caucus Chairman Hakeem Jeffries, D-N.Y., told reporters that most Democrats can support the bill that includes money for new physical barriers along the U.S.-Mexico border. 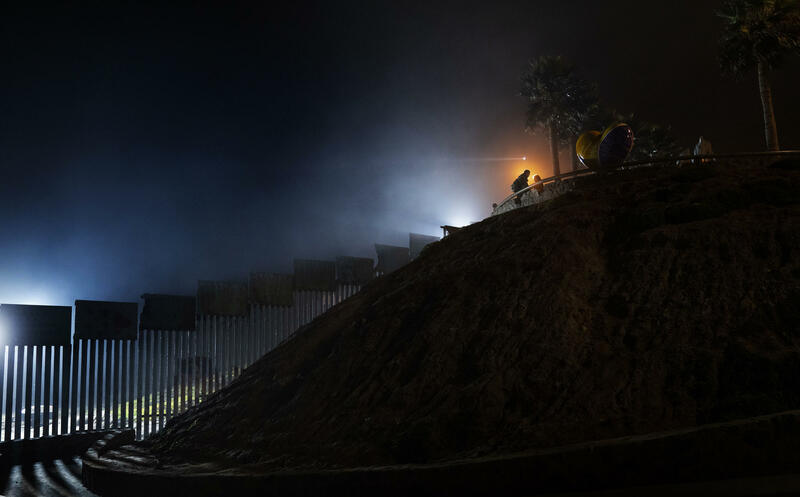 "It is reasonable to support 55 miles of additional barrier in a manner that is consistent with our evidence-based approach to find common ground and improve security along our border," he said. "I think it is the best possible deal we could get under the circumstances, and it's a considerable achievement, and so I'm confidently advocating a 'yes' vote," said Rep. David Price, D-N.C., one of the 17 negotiators involved in crafting the spending deal. Another lawmaker involved in the talks, Rep. Henry Cuellar, D-Texas, told reporters that final details were still being worked out. He said a critical breakthrough for him was securing protections against physical barriers for five areas in the Rio Grande Valley, where the new fencing will go up. Those five areas include: a SpaceX site, the National Butterfly Center, La Lomita Historical Park, Bentsen-Rio Grande Valley State Park and the Santa Ana Wildlife Refuge. "It was extremely difficult. It's been difficult, but the Senate and everybody has been agreeable to get there. I represent those areas and wanted those protections, and we got it," Cuellar told reporters. Cuellar, who also serves on the Democrats' whip team to secure votes, was confident about the bill's prospects. "I'll put it this way: We will pass it," he said. The spending package includes seven of the 12 annual appropriations bills, totaling more than $320 billion in annual spending, but the border fight has commanded most of the attention. Democrats also touted other funding priorities in the package that will help build support for the deal, including $500 million for affordable housing and $1 billion for the U.S. Census Bureau, according to Jeffries. Top House Republicans signaled they are likely to support the bill as well. "I back the framework of what I understand it to be, but why would anybody say they're voting for something they haven't read yet?" said House Minority Leader Kevin McCarthy, R-Calif.
Rep. Tom Cole, R-Okla., a member of the House Appropriations Committee, noted that the outstanding seven bills had largely been written by Republicans last year when they controlled majorities in both chambers and that the final package includes many of their priorities as well. "We're pleased at that part of it," Cole told reporters. Democrats and Republicans say the greatest remaining uncertainty is how Trump will react. The president told reporters Wednesday afternoon that the White House was still awaiting the legislation, would look at it for potential "landmines" and then make a determination as to whether to support it. At the same time, Trump said he did not want another shutdown, saying that "a shutdown would be a terrible thing." Trump did thank Republicans for their work on the deal late Tuesday after he was briefed by the top GOP Senate negotiator, Sen. Richard Shelby, R-Ala., but stopped short of agreeing to sign the legislation. Congressional Democrats have warned that the still unfinished deal is the only path forward to keep the government open. "This agreement is the last train leaving the station away from another dreaded government shutdown," said Senate Minority Leader Chuck Schumer, D-N.Y. "It's time to put the months of shutdown politics behind us."